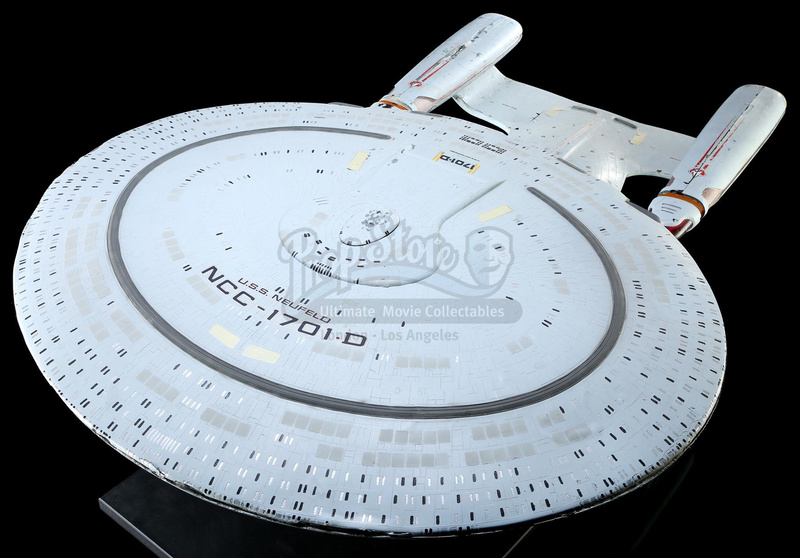 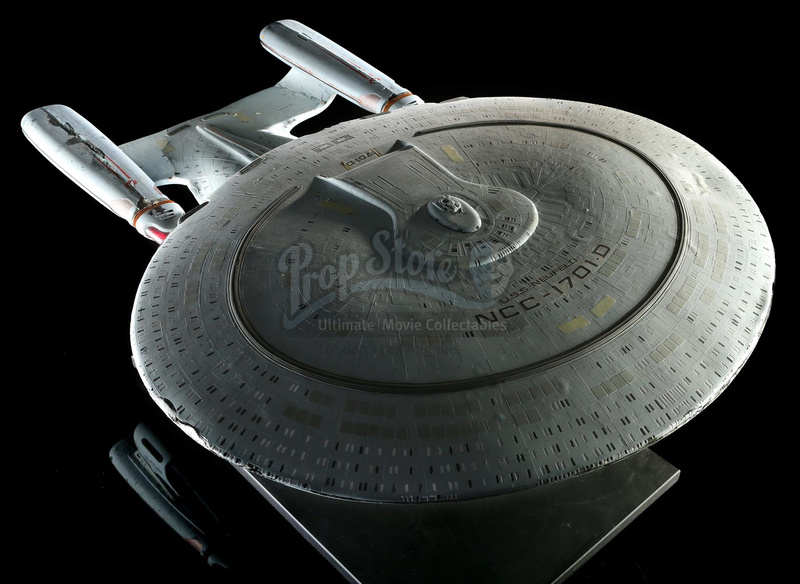 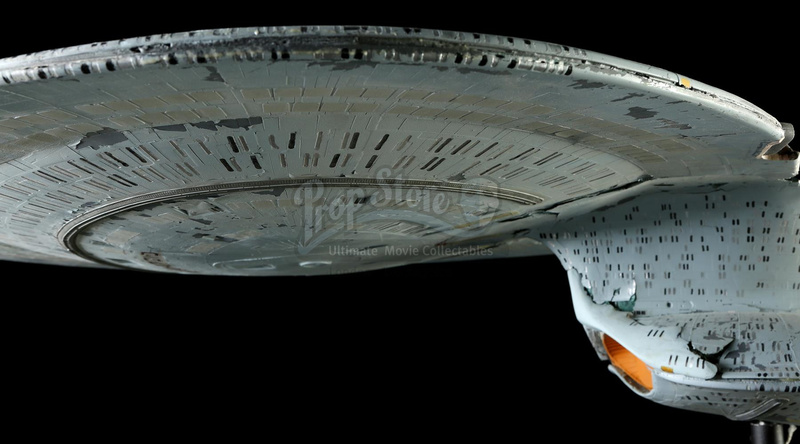 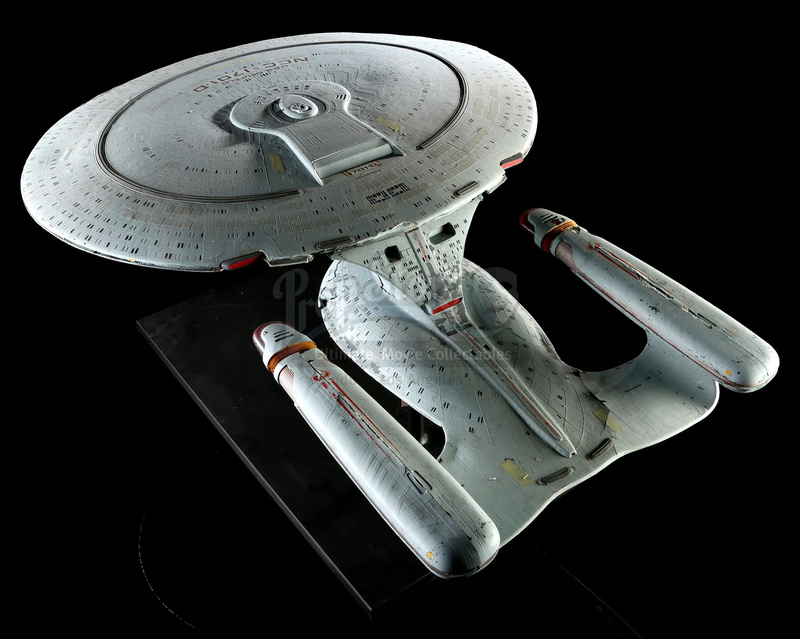 A USS Enterprise NCC-1701-D 'pyro' model miniature from episode 518, 'Cause and Effect', of Star Trek: The Next Generation. 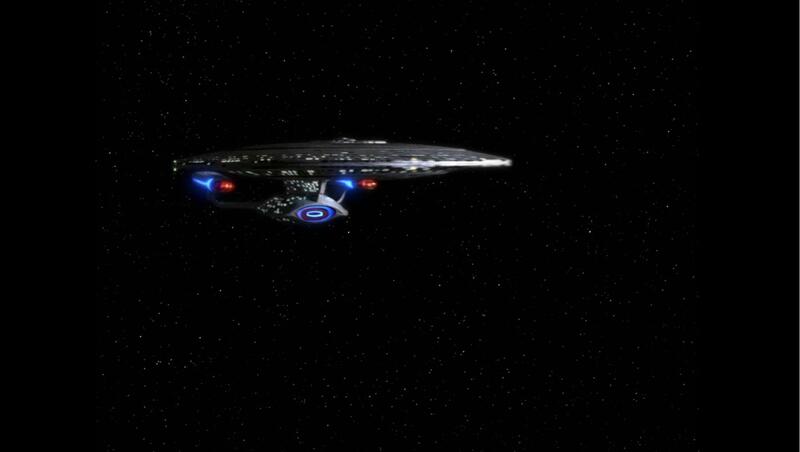 When the Enterprise was trapped in a time warp, the ship was repeatedly attacked and destroyed until the crew was able to break the time loop. 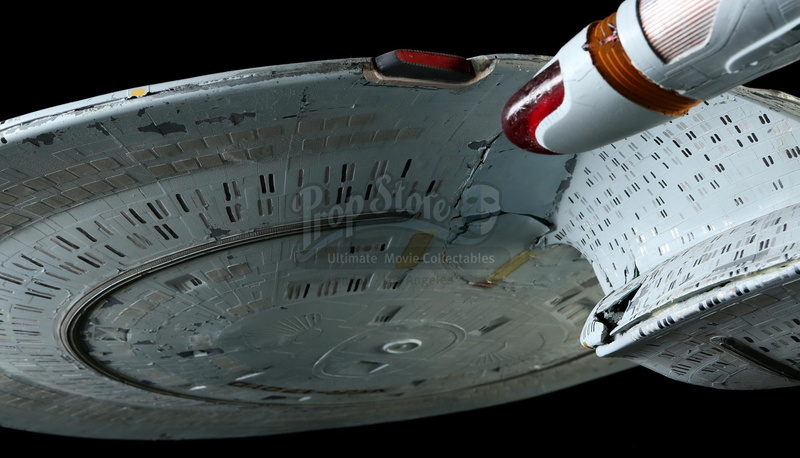 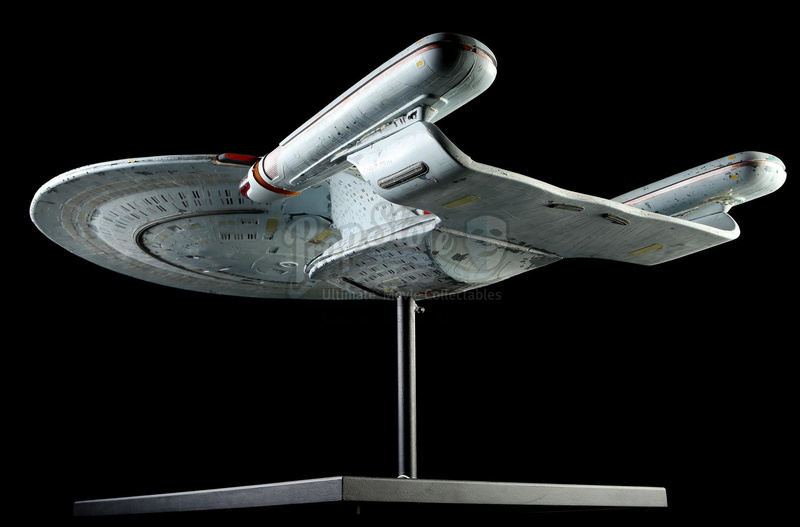 This model comprises original pyrotechnic components created for use in the episode. 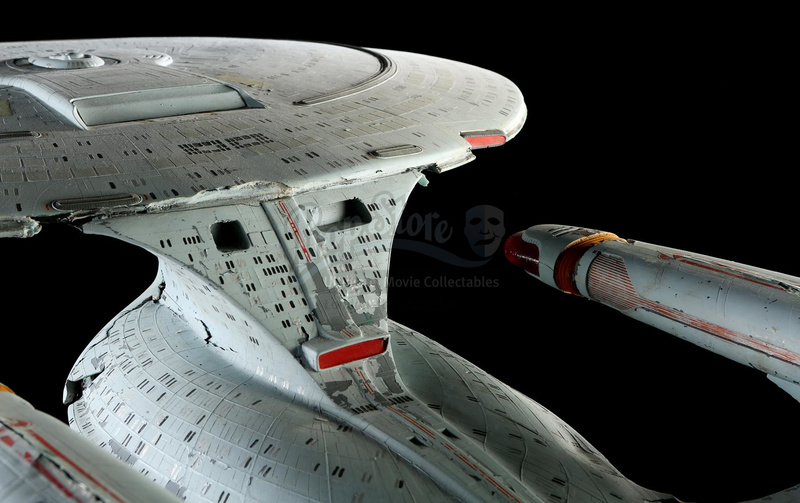 The pieces were cast in a Bondo-like material, based on auto-body filler, and were layered with pre-scored sheets of tin to produce the desired visual effect when blown apart with pyrotechnics on camera. 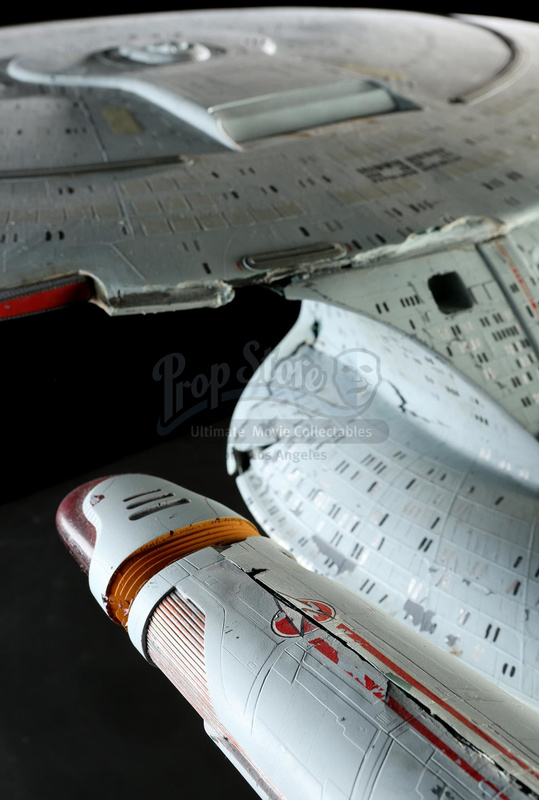 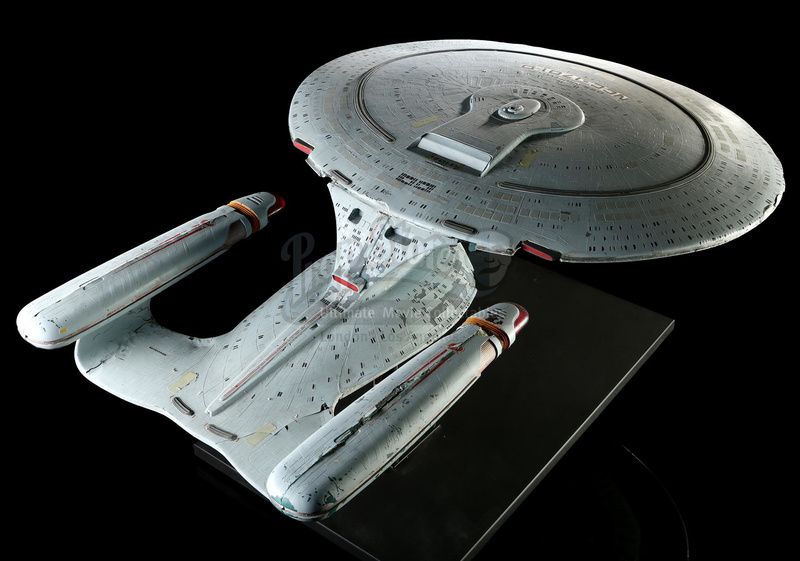 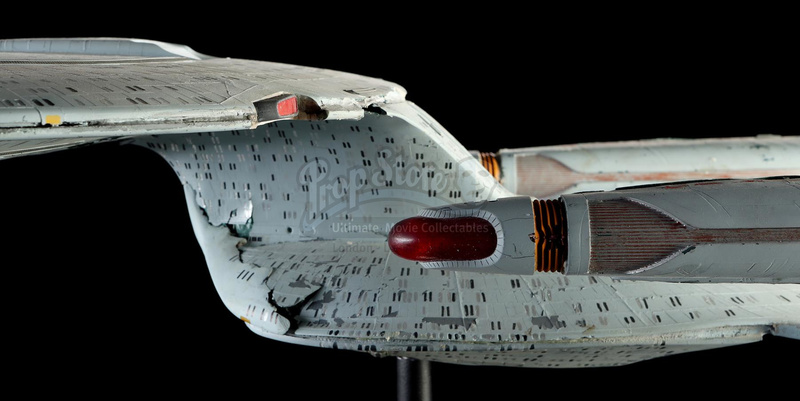 The model components were all prepared during the series' production with a complete paint job, primarily in light blue and grey shades, along with the ship's tell-tale insignia decals in place. 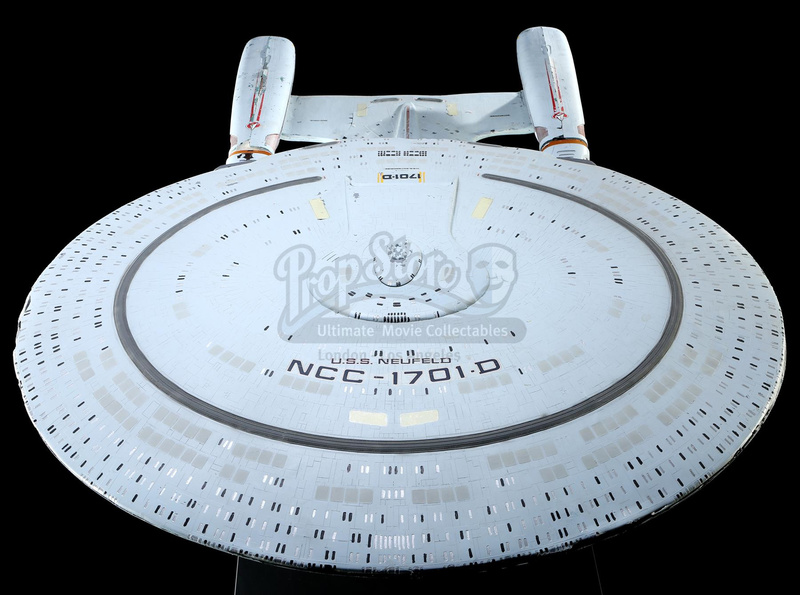 The ship is dressed throughout with small 'Enterprise' name decals. 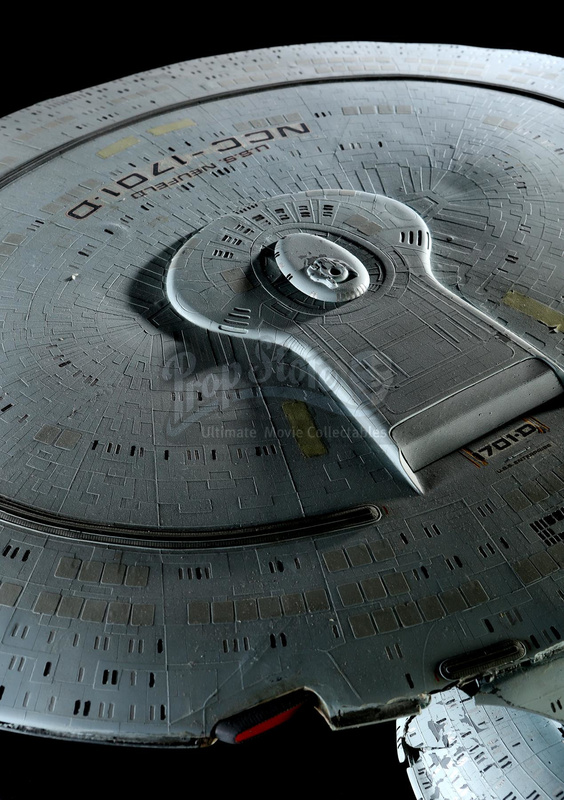 The large name around the ship's call number reads 'USS Neufeld,' an inside joke referring to Glenn Neufeld, the visual-effects supervisor for Star Trek: Deep Space Nine which was in production at the same time as Next Generation.